There are certain times when plastic cups, paper plates, and plastic forks just won't cut it. And when these occasions arise, it helps to be equipped with the tricks and tips you'll need to successfully host a (more) sophisticated gathering. Think occasions such as a small but significant anniversary or reaching the big 3-0 (or 4-0) or even an old friend coming into town. For these celebrations that are just a tad more special than the everyday, taking a more formal approach to a dinner party might be the perfect special effect. Now, when we say "formal dinner party," that doesn't mean requiring a dress code or that your table should be covered with more silverware than you know what to do with. But you should be sure to include a few key elements to add an extra dose of elegance to your affair—without going overboard, of course. Below are a few tips to take note of for hosting your first (semi-)formal dinner party. The main identifier of a formal or semiformal event is the invitation. While we've all become accustomed to the ease and convenience of e-vite, receiving an invitation by snail mail will signify the standard you're setting for the event. It's certainly not necessary to hire a calligrapher (unless such creative urges call) or to spend a fortune getting your invite engraved, but sending your correspondence by regular mail will let your guests know what to expect out of the evening in a subtly delightful way. And let's face it, everybody loves receiving mail that isn't a bill. One way to ensure your party is a success is by providing the appropriate amount of libations. A well-stocked bar will get you far. For a more sophisticated affair, you may want to kick off the festivities with champagne or cocktails along with your hors d'œuvres, in which case you'd want to provide standard spirits (like gin, vodka, whiskey, tequila) and the fixings (olives, tonic water, orange peel, lemon or lime twists) for popular apéritifs. When it comes to the meal, do some research to find out which wines you should pair with what you're serving. You don't have to become a sommelier overnight, but you'll be able to find answers for what pairs well with specific dishes. 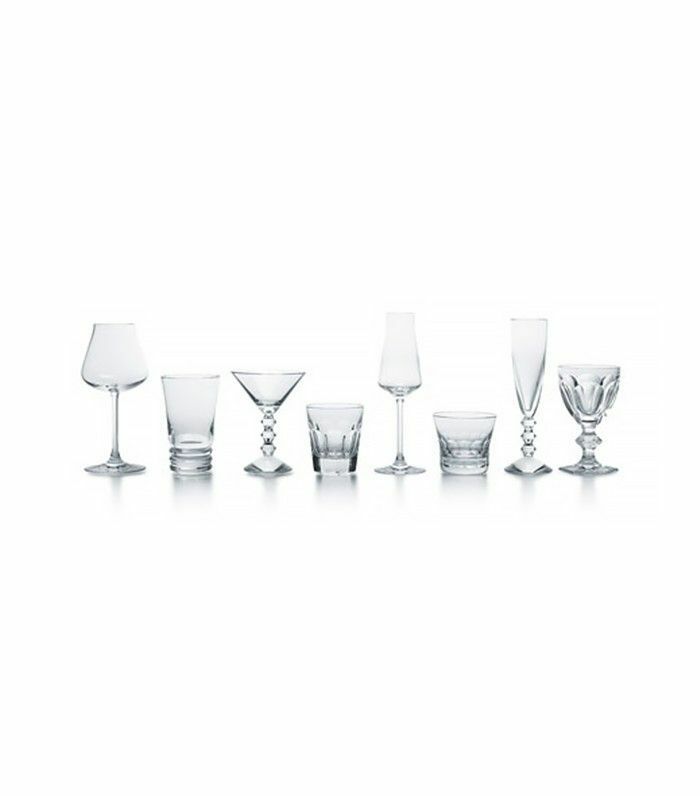 Serving beverages at the right temperature and in the correct glassware are also signs of a sophisticated event. If you're thinking of a spiked punch, here's our list of the best wines for sangria. You'll likely be working with more tableware for a semiformal dinner party than you would with a casual buffet or backyard barbecue. 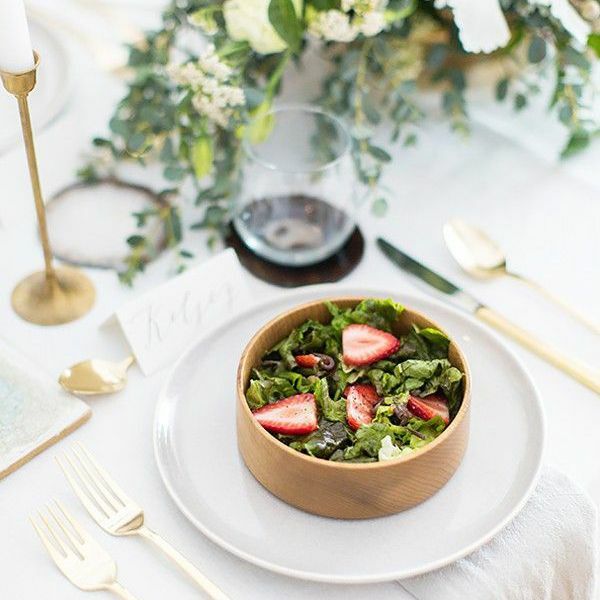 A typical semiformal setting includes a dinner plate and a smaller salad plate on top, with two forks on the left—one for salad and one for dinner—and a knife and spoon on the right. A wine glass and a water glass should be placed to the right of each setting (because a majority of people are right-handed). If you want to get even more granular on how to set the table for all affairs, here's a helpful guide replete with GIFs. If you're using a tablecloth, be sure it's pressed before you lay it out to entertain. 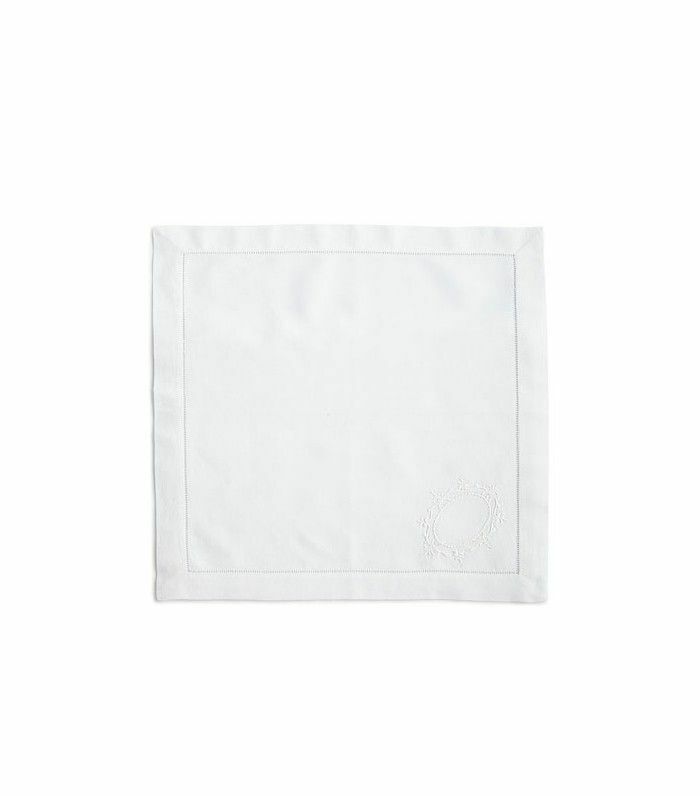 We recommend going with cloth or linen napkins to stay on par with the rest of the table setting. These should also be pressed or ironed before being folded or set out with napkin rings for display. If you'd rather not use a full tablecloth, a table runner can help create the same effect. 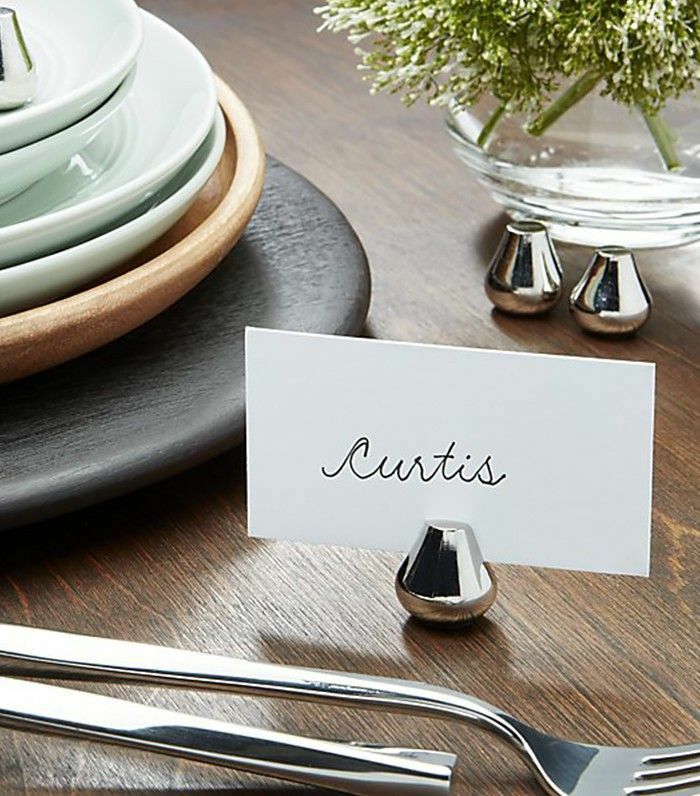 Place cards can be used even if you're hosting a small, intimate affair to add a thoughtful, personalized touch to the party. Plus, they're an easy way to facilitate a fun, enjoyable evening for your guests by seating them next to new faces. They're also a handy tool to help guests avoid the awkward decision of figuring out where to sit. Fresh flowers add instant elegance to any setting. If you're using a small dining table, opt for one large arrangement (be sure it won't interfere with eye contact), or gather a few stems to fill multiple bud vases along a longer table. You can also place complementary arrangements on the bar and around the space your guests will be using (on either side of a mantle or on a coffee table). Pro tip: Some people are sensitive to overly aromatic florals, so in some cases, it's best to buy beautiful but less-fragrant flowers for the table or seating areas to avoid unexpected allergy attacks. No matter how casual or formal the event, you'll want to set the perfect tone with the right lighting and music. For a dinner party on the fancier side, be sure to dim lights to a comfortable setting (not so dark that your guests won't be able to see what they're eating) and light candles along the table and in surrounding areas to give the room a warm, inviting glow. You should, however, avoid scented candles that may clash with the aroma of the food you're serving. As for music, be sure to set the volume to the right decibel for your guests to carry conversations with ease. Choose a moody playlist that can easily fall to the background but also provide a relaxing and fun environment. Music websites like Spotify have made this a lot easier with the streaming stations by genre. Besides the dining room, you'll want to freshen up your bathroom, as that is the one other space you'll be opening up to guests. To stick to the overlying standard of your semiformal or formal affair, be sure to place or hang cloth or linen hand towels for guests to dry their hands. Stock the bathroom with high-end soap and lotion (optional) and with extra supplies in the cabinets. Be sure all of your facilities are clean and working properly in advance. For an added touch, light a clean-scented candle or place a fragrance diffuser in the bathroom to keep it feeling and smelling fresh throughout the evening. In the end, you want your guests to feel welcome, letting them know you were expecting them. This can be accomplished by setting out a welcome mat or placing a carpet at your door to give your entryway an added boost. Placing a candle or flowers at the entrance to the party is another welcoming touch that won't go unnoticed. 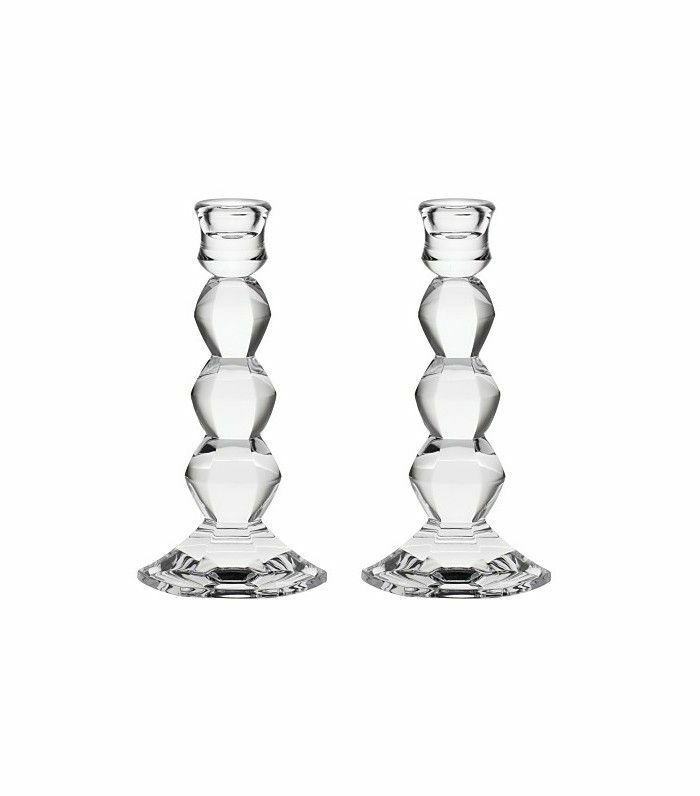 Shop a few of our favorite formal dinner party essentials below. Have you hosted a formal dinner party? If so, what are your favorite tips for making it a success?